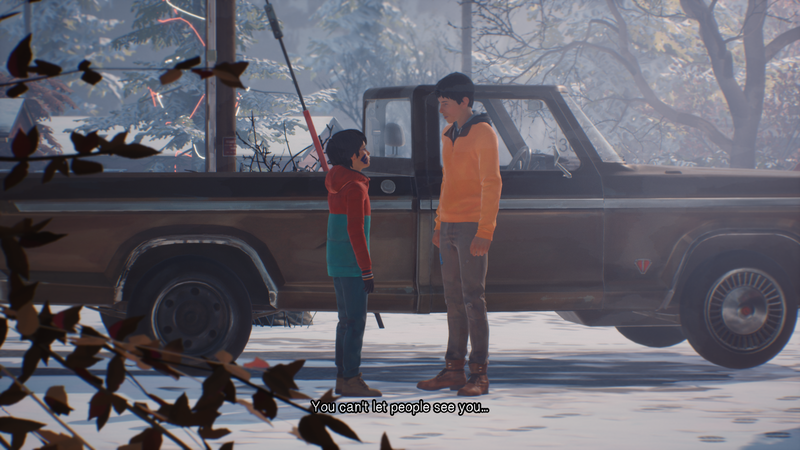 The thing I dislike of episodic games is the fact that I already forgot most of the game, story, current situation and choices I made in the previous episodes, when the episodes are released far apart. I don’t understand why they won’t just make the game fully and then release it or at least publish those episodes much more frequently and not every 4 months. 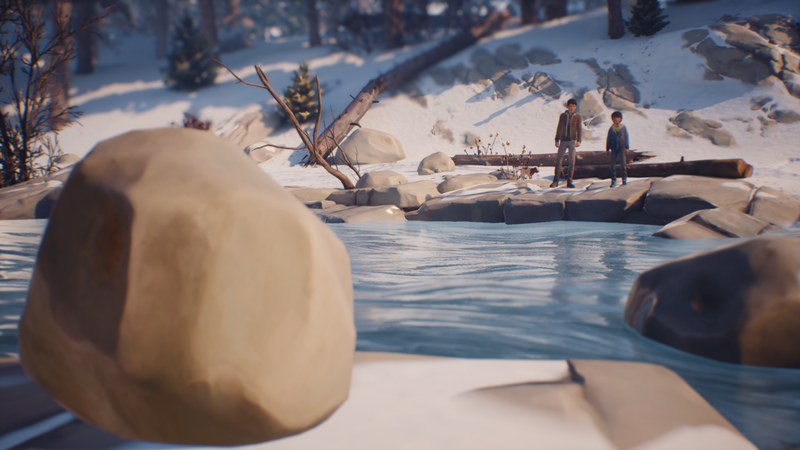 The same thing walks with Life Is Strange 2 as it’s episodic choice–making game. I did like the first episode even though the gameplay was very boring. What the developer has done in these past 4 months? Any new things added? 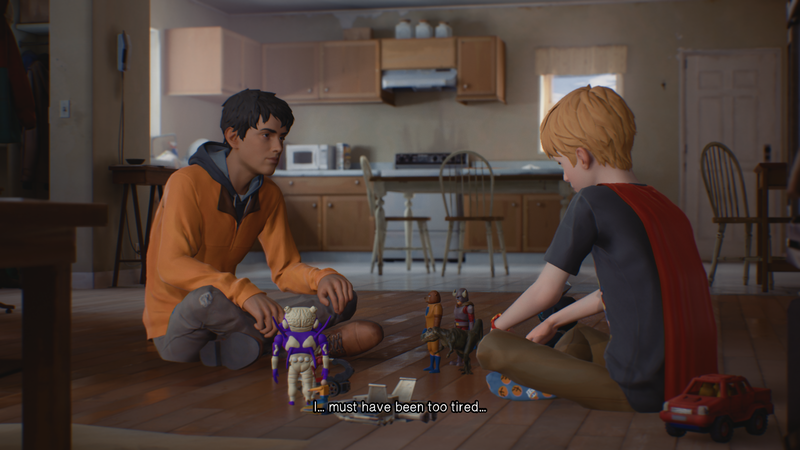 The story of Life is Strange 2 is about two brothers who run away after the little brother, Daniel, uses his superpower and accidentally a cop dies. They’ve been fugitives living in the woods and practising to control Daniel’s superpower. The big brother, Sean, decides that they are going to their grandparents’ house and they walk long way to them. Granparents take them in, but they need to keep a low profile. Again, things happen due using the superpower, and because of other personal stuff. Story is again very emotional and raises many question to the player’s mind and conscience. Making decisions ends up someone either being dead or alive. The outcome is difficult to foretell as anything could happen in the end. Sean and Daniel story is about trust, broterhood and making the rules. Daniel of course wants to explore and his powers wants to come out every now and then which makes them having troubles and Sean getting mad and trying to fix everything. 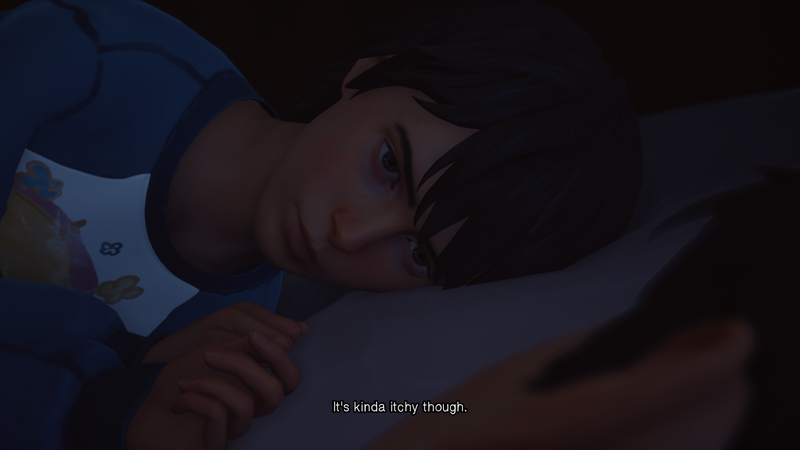 The story is told only from Sean’s perspective, making the player be the big borther and therefore questioning your morality. 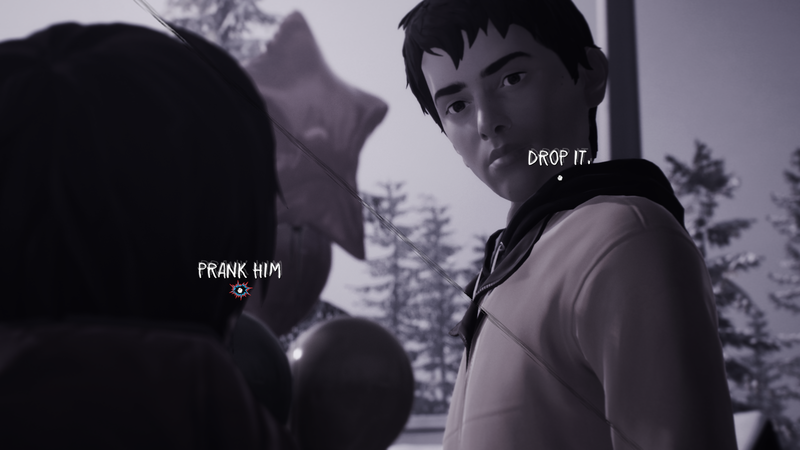 Life Is Strange 2 has very minimalistic controls and gameplay. It’s basically walking around with having a goal and player needs to get it done and talk to everyone with making choices. Some choices has time limit when others are so significant that the time stops and you can make your decicion with thinking it through first. 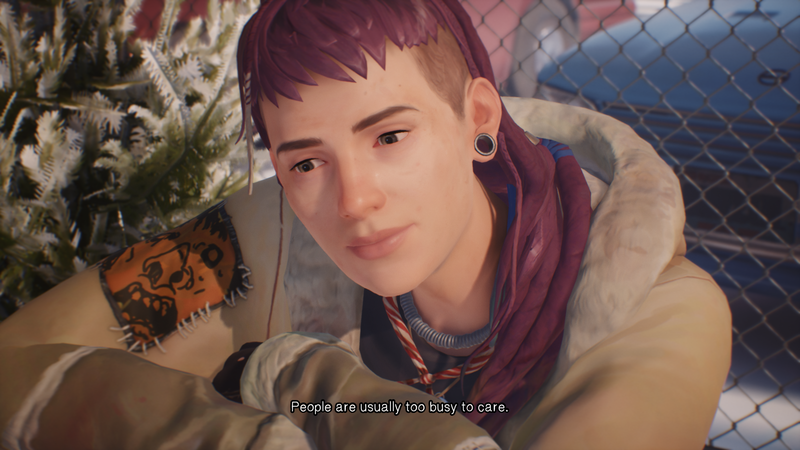 In the main menu is option to import a save file from the Life Is Strange 2 demo; The Awesome Adventure Of Captain Spirit, that has completely other characters that didn’t seem to be in the first episode, but with the episode 2, the demo makes sense and comes complete. I didn’t have the save file anymore, so I couldn’t import it, but I remember what the story in the demo was all about. I like the painted, cut-out, simple graphics, but it could be better with more details. It would make the game more mature and serious as the game itself having rated Mature/18 content. Even with PS4 Pro the game had some difficulties with the technical part of the graphics and sometimes it lagged very badly, but those were just some times. The background music is always kinda guiet, emotional guitar playing and some sad young lady singing with it. I like it and it works with game like this. Voice-acting was OK, even though, all the characters seemed to be very easy going, but still having personality. 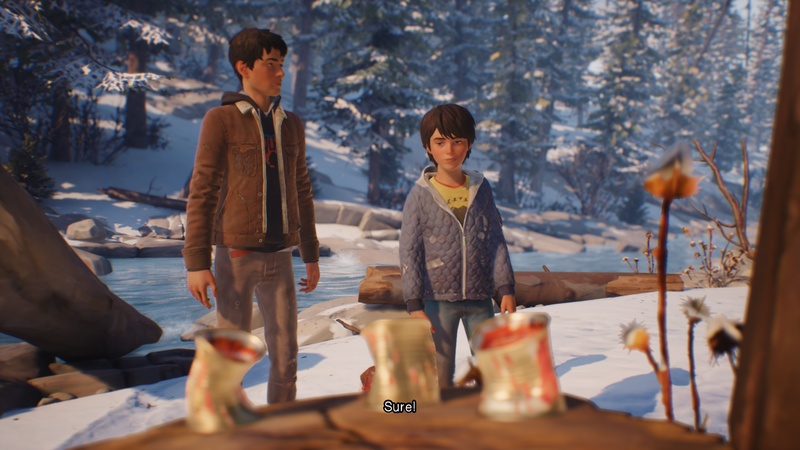 It’s not difficult to play Life Is Strange 2, but after the end of the episode I saw my choices and it also showed the other choices and outcomes that could’ve happened, and I was left confused how they could be done. Remembering the major choices I made, plays big part of the game’s story and making choices after another leads to the situation that we call ‘destiny’. It’s easy to play, but might get difficult to get certain wanted results. I was bummed of the espiode 2 not having any recap of things already happened with my choices and outcomes. I didn’t remember did I hate or love the little brother, so now I made notes to myself for the episode 3 that comes, possibly, after 4 months. I still overall liked the episode and the story how serious and distinct it was and having my own superpower that I call ‘making the destiny’ with it. I would’ve liked the episode being longer and getting more of the story. After waiting all this time and it’s over just like that, ugh. Hopefully the next episode comes soon, because in the end of this episode, showed very interesting things coming.